We, at MADITbox, understand your requirement carefully and ensure satisfactory delivery of back office and offshore services such as data entry, data processing and data conversion tasks. We understand that your data is an asset to your business. We can input any type of data you have, saving you time and money in the process with assured quality. 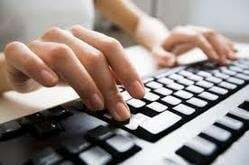 Our skilled data entry service professionals will identify ways to speed up and improve the accuracy of your data entry job and can convert your data entry problems into bottom line profits!